A junior at AHS is designing an innovative electronic program for teachers to reserve the Mac carts. Eli Gukovsky is currently finished with the app, but there are a few problems that need to be solved before it is unveiled. Gukovsky is trying to create a “nice experience for teachers,” for in the past teachers had to sign out laptop carts from a book in the library, and were not able to plan ahead of time on having the laptop carts until they checked the library. The program allows users to send in a form request electronically and immediately reserve laptop carts of their department. When a teacher submits a form, it will create an event on the calendar for when he or she wants to reserve a cart. This program is “simple to use and learning it will take less than 3 minutes,” according to Gukovsky. 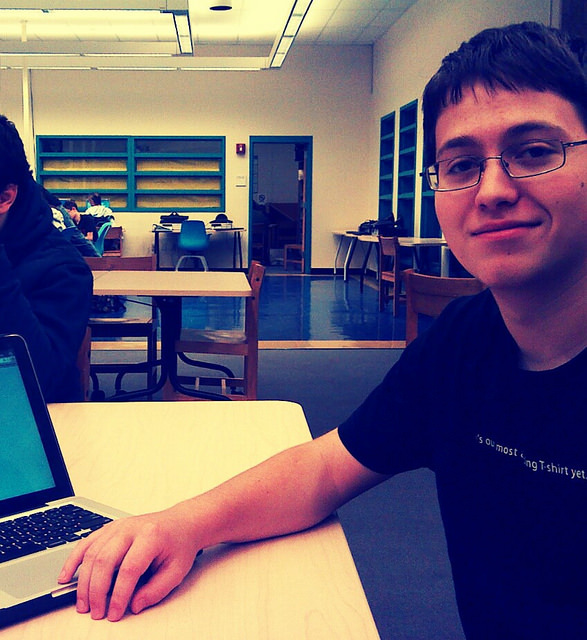 Gukovsky created the app using Google Apps Script programming language, a Java Script program used to automate functions and coding. It is Gukovsky’s second year as part of the AHS Innovation Lab and Help Desk, which provides technology assistance throughout the school. The Help Desk is a Business and Digital Learning elective that is worth 0.5 credits. At the beginning of the year, students must complete a project for teachers before starting their own projects. There are six laptop carts available to reserve with the new program; Math, Computer Science, Science, Social Studies, and two for English. Therefore, all academic teachers will benefit from this new system. In addition to creating this app, Gukovsky has created a tutorial for teachers on how to use Google Forms effectively in the classroom and is also beginning to create an Android app. Next Next post: ALICE Training: What are the pros and cons?